Pommes Maison. Apple House. A sweet smelling place to sit, eat apples and contemplate life. 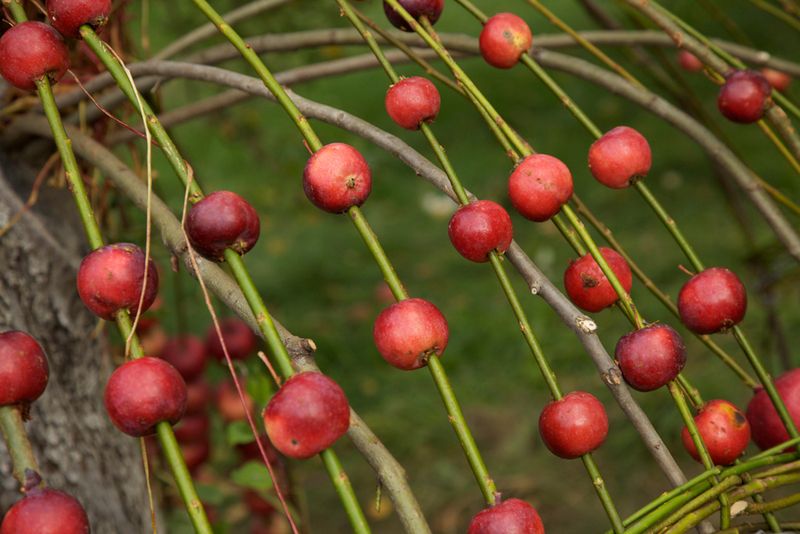 The apples were skewered on long Willow stalks imbedded in the ground. Pommes Maison in the apple orchard with Mont St-Hilaire in the background. 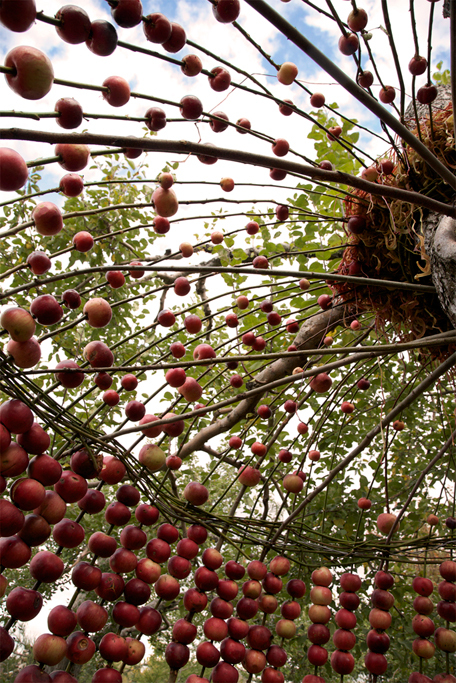 smaller crab-apples were added to the top of the structure, which could be moved up and down like an abacus. From inside the skirt/dome one could look up at the sky while eating an apple. 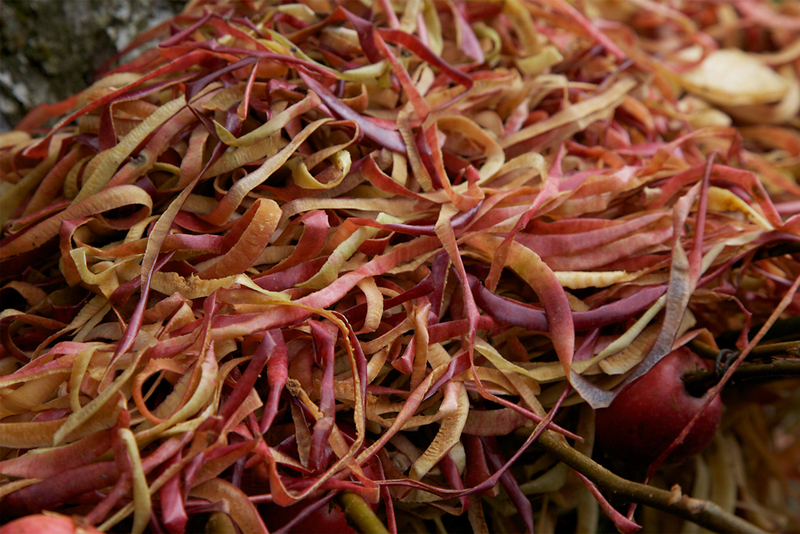 I discovered these apple skin strands in the kitchen when they were making apple cider and added them as a final touch before the opening. 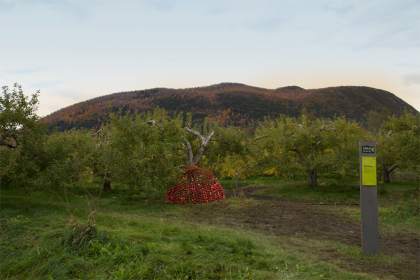 Pommes Maison was an installation I created for the Land Art Mont-St-Hilaire festival in Québec, where I was one of 10 artists invited by curator Jérémie Boudreault to create sculptures in a working apple orchard within 4 days. 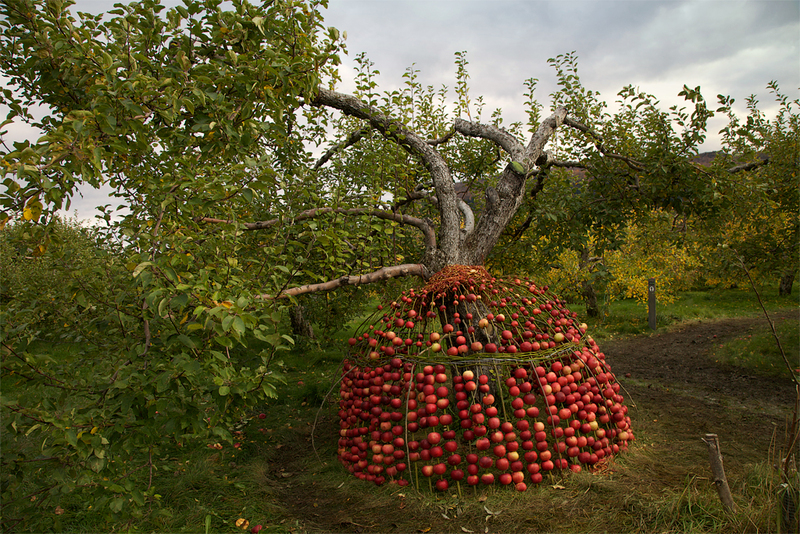 My sculpture was constructed around an apple tree and consisted of a dome shape, which acted as a skirt for the tree and also as a shelter. 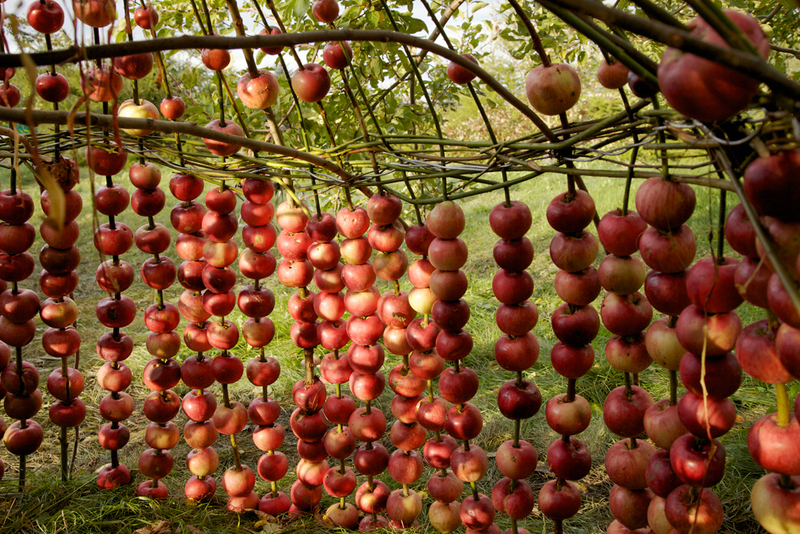 The structure was made from Willow branches onto which apples with holes through them were skewered, like giant apple kabobs.